Designed to be light, fast and responsive, this is our secret weapon for high performance surf in smaller waves. Featuring a wider outline and low rocker, you will get into waves pretty fast and get projection and control all the way. 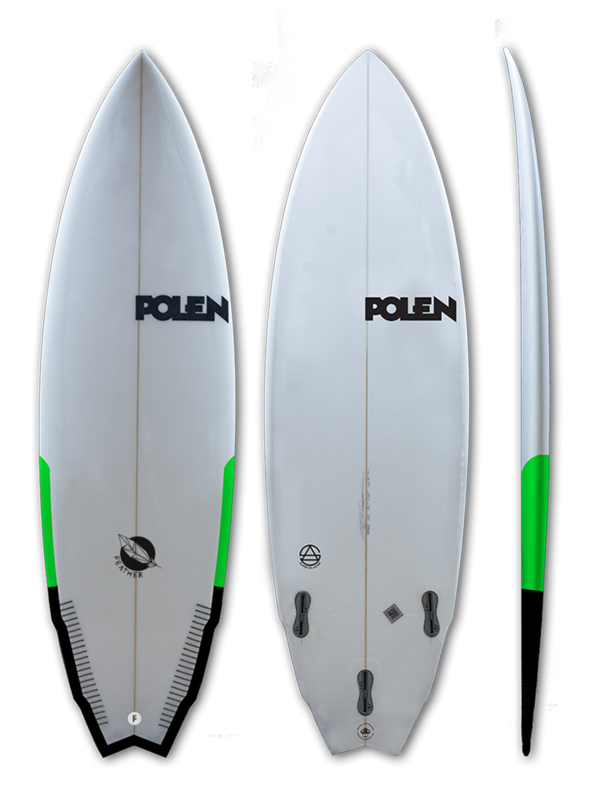 Comes with a single to double concave with vee off the tail, low rails and a double wing swallow tail for fast tight turns in shorter wave length. Don't be surprised if you feel that vert moves and power carves come out easier now. We believe this is one of our best small wave designs, and you'll feel its speed and drive whether you're a pro competitor or just a good surfer trying to perform better in small waves. The Feather will work great as EPS/Epoxy construction for greater lightness. Ride it 2"-4" shorter than your standard shortboard and with a tri-quad fin set up to get more versatile. Did we mention this boards is ideal in EPS/Epoxy construction? Make your quiver lighter with The Feather.